One thousand menstrual hygiene kits are being made by Kokoda villagers to provide sustainable sanitary products to women and girls across the region. With the support of the Australian government’s Kokoda Initiative, the Seif Meri Mun project involves basic sewing training and the production of 500 kits each by Network Kokoda in Sogeri and the Adventist Development and Relief Agency (ADRA) at Kokoda Station. 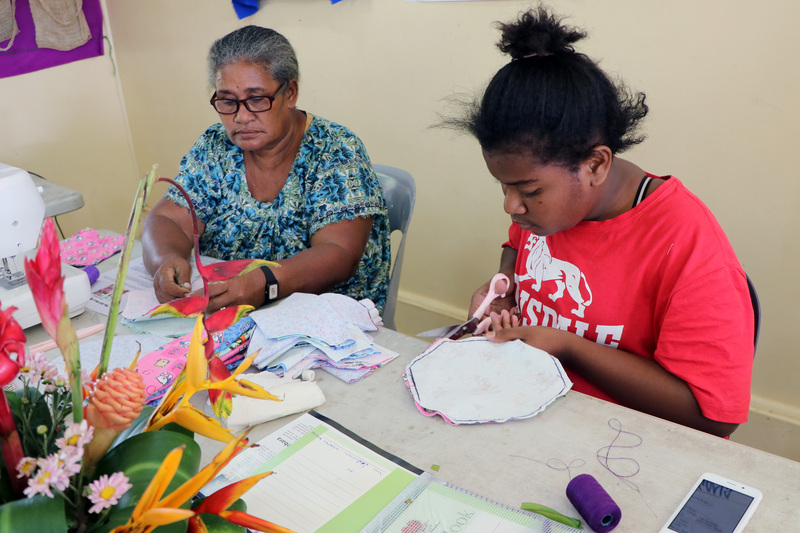 Sewing trainer and facilitator, Nina Boydell, said the project aims to assist women and girls in Papua New Guinea to better manage menstruation with dignity by supplying free reusable sanitary products to women in remote communities. “The kits are easy to make and require only basic sewing skills. They can be hand sewn or sewn on a simple electric sewing machine,” said Boydell. The kits are due to be distributed next month and include reusable sanitary pads, soap, a plastic bag, wash cloth and underwear in a cotton carry bag, with information on menstruation and family planning. The washable sanitary pads last up to three years and can also be used for incontinence. A total of 39 women and two men attended week-long basic sewing trainings at Sogeri and Kokoda Station in December, with participants drawn from village health volunteers and local women’s groups. In addition to learning how to sew and assemble the kits, the training included sessions by Marie Stopes on women’s reproductive health, sexual health and menstruation management. Developing sewing skills in Kokoda communities is also part of a wider livelihood initiative to generate potential income from the sale of sewn items. Arau Arua, 39-years-old from Sogeri, is a trainer of trainer who attended the training with Network Kokoda and brought together 12 seamstresses to produce the kits. “We’ve been sewing simple things like pillow cases and other things, but this project is new for us,” Arua said.